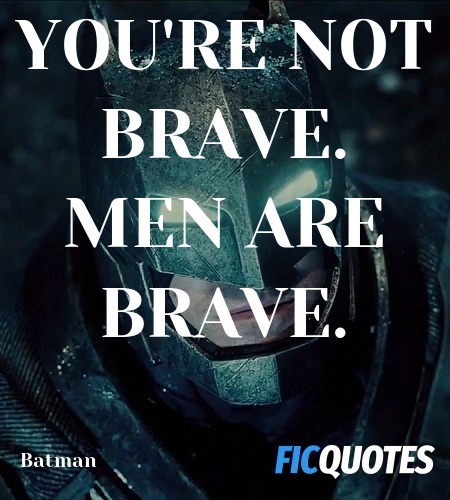 You're not brave. Men are brave. Men are still good. We fight, we kill, we betray one another, but we can rebuild. We can do better. We will. We have to.